Another one of the oddities I was able to try at Reserva y Cata the other week, this is something along the lines of an oloroso from Bodegas Iglesias in Condado de Huelva. It is 100% Zalema, the white wine grape of choice in Huelva, and according to this ficha had 8 years in a solera system of 650 litre bocoys. 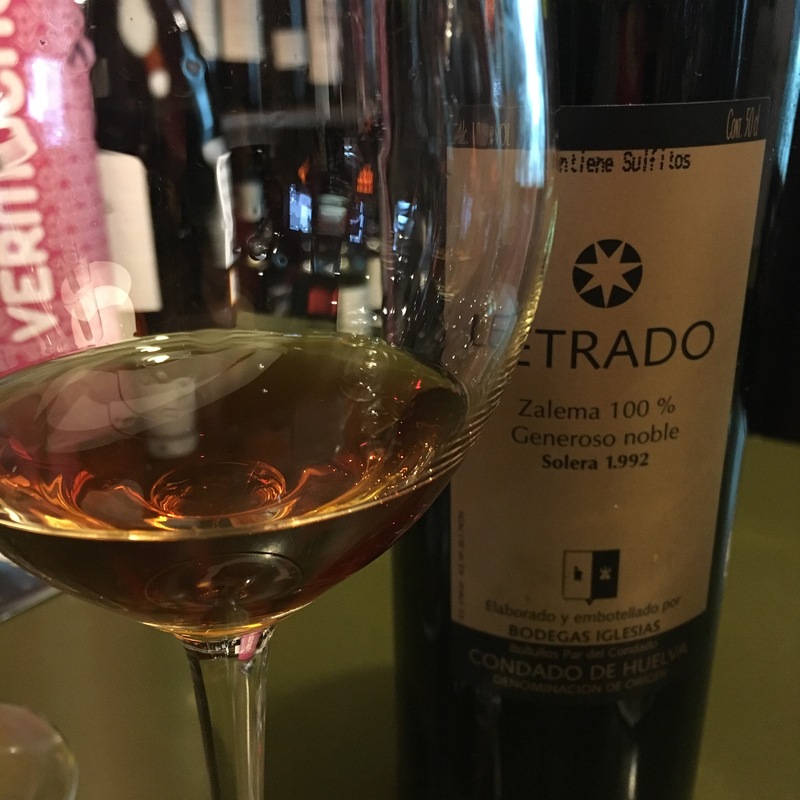 I am guessing from the label that the solera was founded in 1992. Has a spirity nose similar to a medium sherry – maybe just a touch more fruit and sweet hazelnuts rather than almonds. Then on the palate it is similarly flighty – juicy and enjoyable but not a lot of mineral here so it comes across as a bit insubstantial.